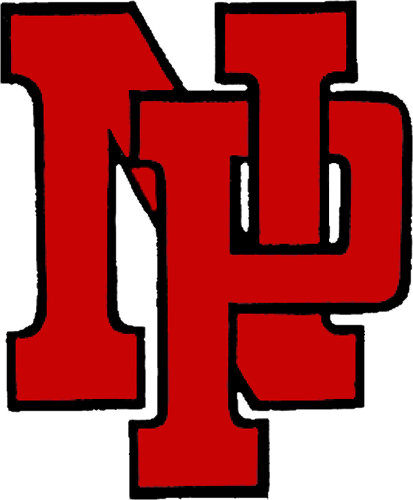 The New Palestine gymnastics team tallied 98.85 points to win a three-way meet Wednesday on Senior Night. The Dragons beat Franklin Central (95.3) and Muncie Central (82.3). Senior Sarah Thompson was honored prior to the meet. 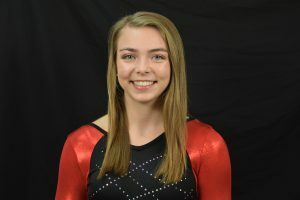 She won the floor exercise with a score of 8.775, with Grace Shanahan second (8.5) and Kennedy Garrett fourth (8.125). Garrett was second on vault (8.6), with Shanahan tied for fourth (8.425), Emma Poag fifth (8.4) and Alyse Rickey sixth (8.3). On bars, Shanahan was the winner (8.9), with Garrett third (7.85) and Rickey fourth (7.8). Shanahan also won on beam (9.35), with Garrett fourth (7.8) and Poag sixth (7.375). Shanahan was the all-around winner with a score of 35.175. Garrett was third at 32.375 and Poag fifth at 30.85. The Dragons next compete Saturday in the Bloomington North invitational. Grace Shanahan was the all-around winner Wednesday. She won the uneven bars and balance beam. 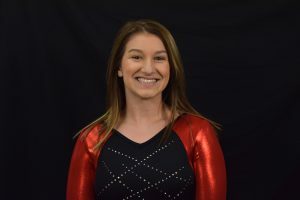 Sarah Thompson won the floor exercise on Senior Night.